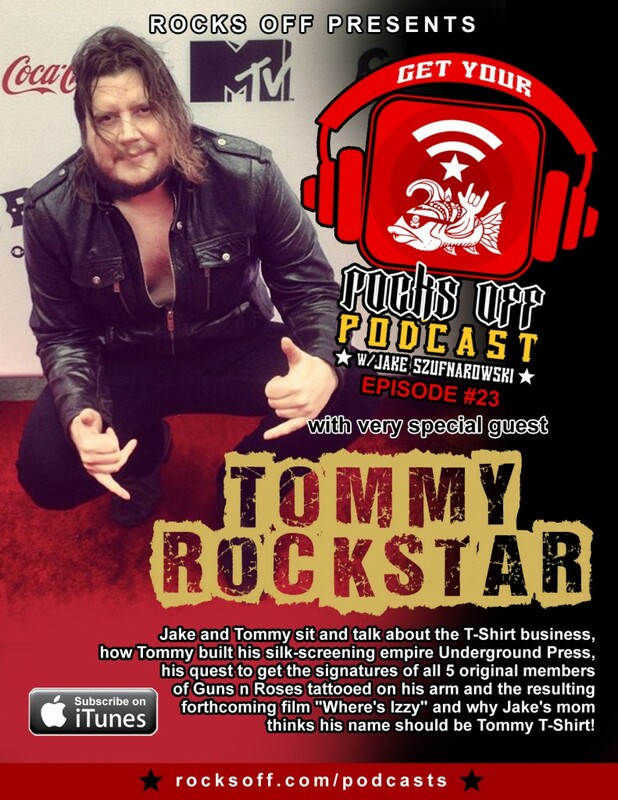 Jake and Tommy sit and talk about the T-Shirt business, how Tommy built his silk-screening empire Underground Press, his quest to get the signatures of all 5 original members of Guns n Roses tattooed on his arm and the resulting forthcoming film “Where’s Izzy” and why Jake’s mom thinks his name should be Tommy T-Shirt! Tune in to hear the legend of Tommy T-Shirt! This entry was posted in Uncategorized on November 6, 2013 by Jake.